There are a couple of new devices at Google Play. The Sony Xperia Z Ultra and LG G Pad 8.3 were launched yesterday. Both are Google Play Edition, so while having the same hardware than their respective predecessors, they offer the last Android 4.4 KitKat. These editions have the basic Android software, without any of the typical customizations by the manufacturer. This feature helps producers to get the latest version of Android ready for the Google Play edition devices. The Sony Xperia Z Ultra Google Play Edition is a great device, with the same specifications as the original Xperia Z Ultra. It has a 6.4 full HD TRIUMINOS display and a 2.2 HGz Qualcomm Snapdragon 800 quad-core processor with Adreno 330 GPU, 2 GB of RAM, and 16 GB of internal memory (with microSD compatibility). It also includes an 8 MP rear camera and a 2 MP front one, LTE, NFC and Bluetooth Smart Ready. The Xperia Z Ultra has a dust-resistant and waterproof (IP55 and IP58) body, with a weight of just 212 grams. 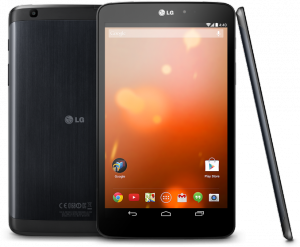 The LG G PAD 8.3 Google Play Edition is a 8.3-inch tablet with an IPS Full HD display (1920×1200 pixels and 273 ppi). It has a 1.7 GHz quad-core Qualcomm Snapdragon 600, 2 GB of RAM, 16 GB of internal storage, and support for microSD cards. Its rear camera has a resolution of 5MP, while the front one has 1.3 MP. It’s a compact device (216.8 x 126.5 x 8.3 mm) with a weigh of 338 grams. Both devices can be purchased through the Play Store. The Sony Xperia Z Ultra Google Play Edition costs $649, while the LG G PAD 8.3 Google Play Edition has a price of $349. Both devices are sold only to US costumers, and there is no news about their possible availability to other countries. Source: Android Twitter, Sony Mobile.